These are vintage acrylic pendants that were made in the 1980's. 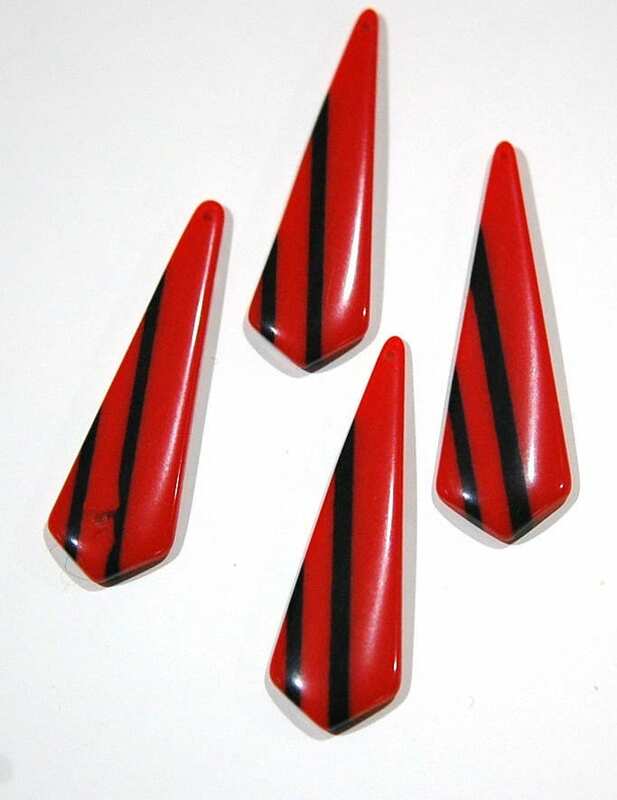 They are red with black stripes. The back is flat and the front is slightly domed. These measure 48mm long X 16mm wide. You will receive 4 pieces.